When talking about sustainable, eco-friendly flooring, there are two options that usually dominate the discussion. Of course, they are none other than bamboo and cork flooring. In the recent years, both bamboo and cork flooring have become incredibly more popular than before. Not only that they are made from efficiently renewable resources; they are also good-looking and attractive yet durable and easy to maintain. If you want to get a LEED home renovation certification, bamboo and cork flooring can help qualify for credits. In addition, these floors are also very versatile. You can use bamboo or cork floors for almost any room, as they are all able to withstand moisture issues. 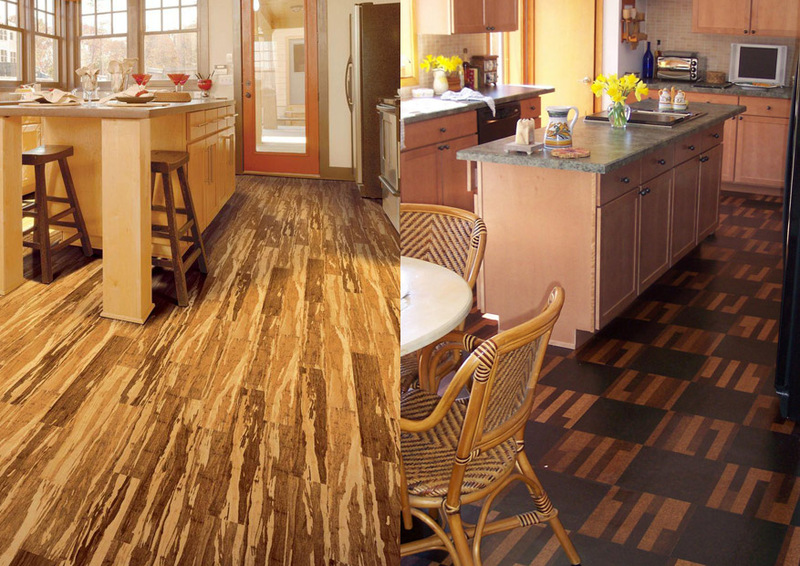 You can make your kitchen and bathroom look warmer and more inviting by using either bamboo or cork flooring. So, should you choose bamboo or cork flooring? Below, you can read about the pros and cons of both bamboo and cork flooring to help you choose. A bamboo floor is a type of flooring that is manufactured from the bamboo plant. Unsurprisingly, the majority of the world’s bamboo flooring comes from China. After all, the bamboo plant originated in the said country. Of all species of bamboo, moso bamboo is the species that is the most commonly used for flooring. Well, although bamboo mostly comes from China and some portions of Asia, bamboo floors are now widely available, including in the United States. Bamboo grows incredibly fast, much faster than hardwood trees. It can be harvested every five years, making it a rapidly renewable resource. Well, technically, bamboo is a grass. In order to make it into floors, stalks of bamboo are split and pressed into planks. The natural striations create such a beautiful texture. You may choose either a horizontal or vertical grain according to your personal aesthetical preferences. For sure, bamboo floors are very beautiful and good-looking. They are trendy right now, but the trend is still holding steady and will still be trendy for quite a long time. The distinctive texture creates a unique appearance. 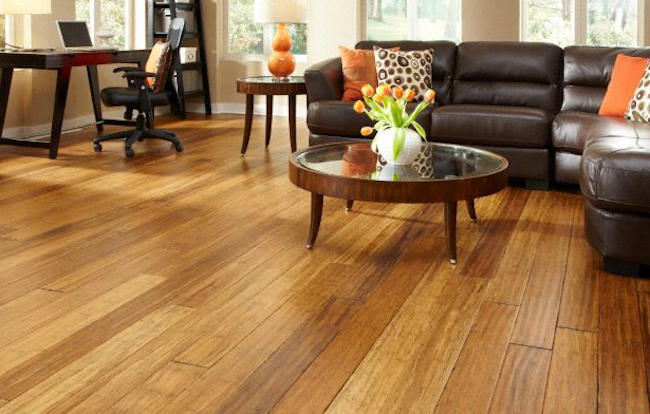 Bamboo flooring is available in many colors, varying from light honey all the way to dark ebony. Bamboo floors are generally quick, simple, and straightforward to install. There are indeed bamboo flooring products that are designed to be glued or nailed down; these will probably require a professional installer. However, there are also bamboo flooring products designed to be ‘floating’. They don’t need to be nailed using a floor stapler, and they can be installed manually by yourself without a professional help. Bamboo floors are quite durable. They are not ultra-rugged like solid hardwood, but they can withstand impacts pretty well. But the best thing about bamboo floors is that they are moisture-resistant. They are able to withstand wetness and moisture even without any sealant. Therefore, they are also very easy to maintain. They can be damp mopped as usual. Despite all the buzz about bamboo flooring, it is not all great. In fact, not all bamboo planks are created with equal quality. Standards of different manufacturers vary dramatically. Some manufacturers even harvest bamboo stalks before they are mature, thus resulting in weaker products. Furthermore, some manufacturers also use fillers and binders to cut down production costs, and some of the adhesives may contain toxic chemicals like formaldehyde. Thus, the floor may emit a toxic gas over time. In addition, bamboo flooring may dent when subjected to heavy pressure. Although it is water-resistant, it is still prone to stains. It can easily be stained by liquid spills. A cork floor is a flooring product that is made from the bark of the cork oak tree. The material is ground and processed into sheets, baked in a kiln in order to create tiles or planks that serve as flooring. Cork flooring is popular for residences, light commercial locations, and offices. In general, cork flooring is also a very eco-friendly because the making does not involve the cutting of any tree. Instead, the bark is simply stripped from the tree. The bark will regenerate within several years, without killing the tree. In addition, the manufacturing does not produce much waste. Many cork flooring products are actually made from the scraps of the bottle stopper production. There are various designs of textures and surface patterns. You can find many types of cork flooring; some have traditional grain while others have modern, contemporary looks. You can arrange cork tiles/planks in various configurations. Cork flooring is resilient and cushy, making it very pleasant to step on. It will soften your footsteps, and it can also improve the room acoustics by making footsteps quieter. Finally, cork flooring actually has good thermal properties that can make your room warmer. It is somewhat fire-resistant, although not completely fire-proof. However, cork flooring can be quite difficult to install and repair. Thus, if you choose cork flooring, you will probably need some professional help to install it in your home. So, even though the initial price of cork flooring is not very high, you may need to spend some more bucks for labor costs. 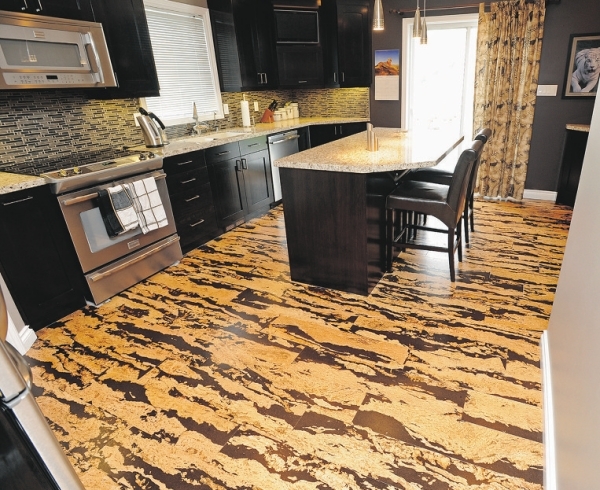 Cork flooring is not resistant to moisture. It has to be sealed in order to protect it against moisture and damage. If not sealed, it can deteriorate quickly due to contact with moisture, and it will also be very easy to scratch. Then again, if it is sealed, it cannot be wet mopped. Both bamboo and cork flooring are eco-friendly choices. They are great because they will not cause detrimental effects to the environment, or at least not as much as other flooring products. Bamboo flooring is great if you prefer something that is durable yet easy to maintain. However, be careful in choosing because there are some products that use harmful chemicals. On the other hand, cork flooring is nice especially because it can improve the room’s acoustics and temperature levels, but it is more difficult to install and requires careful maintenance.